The Los Angeles Lakers are down this season. Kobe Bryant has looked meh in his first two games back from the torn Achilles injury that he suffered late last season. The Lakers’ bench looks better than its starters. The Lakers have too many injuries. The narrative could go on and on about how the Lakers have looked this season. And yet, they are still the Lakers, and that player wearing No. 24 is still Kobe Bryant. So there will always be intrigue when it comes to this match-up. Back in 2008, the Lakers were the team the Thunder wanted to knock off the perch. 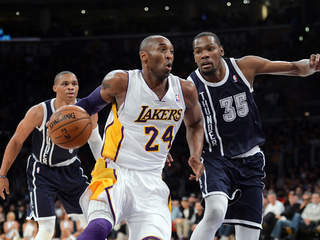 They gave us our first taste of playoff basketball in 2010 and Kobe Bryant has served as something of a big brother to Kevin Durant and Russell Westbrook. The roles have now reversed, with the Thunder being one of the top teams in the West and the Lakers clawing to stay in playoff contention. This is the first of four meetings between the two clubs. The Thunder won the season series last season 3-1, winning by an average of almost 13 points in those three victories. The Lakers currently find themselves at 10-11, in 13th place in the Western Conference. They are a Mike D’Antoni-coached team, but without the weapons to make that sort of team succeed. When Steve Nash, Amare Stoudemire, and Shawn Marion were running D’Antoni’s system, it was run almost to perfection. But with Kobe coming back from injury and the roster in salary strapped shambles, the results are a team that is 14th in points per game at 101.3, but next to last in points allowed, at 103.5. With Kobe back, and all 3 of their point guards out with injury, D’Antoni is depending on Bryant to run the offense for him. An offense, that this Kobe is probably not familiar enough to successfully run. 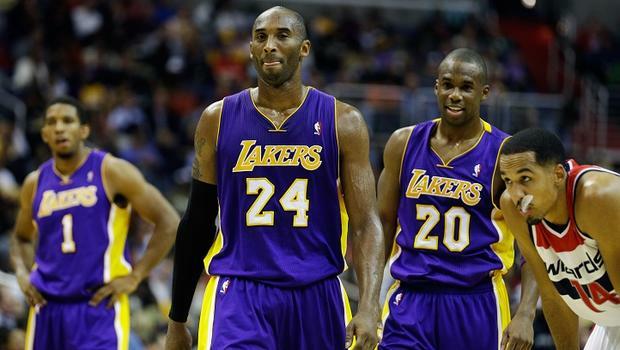 Joining Kobe in the back court will be Jodie Meeks. Up front, Pau Gasol and Jordan Hill will run the high low and may prove to be a difficult match-up at times. The bench was one of the strengths of the team, but injuries and the return of Kobe have negated that weapon. 1. Post Play – This may be a tough cover for Perkins and Steven Adams or Hasheem Thabeet. Gasol adept at playing anywhere within 15 feet of the basket, and Hill is extremely active and scrappy. I think we’ll see a lot of small ball lineups with Durant at the 4 and Ibaka or Nick Collison at the 5. 2. Durant and Westbrook – The Lakers have no answer for either of these guys. FEAST!!!! 3. Kobe – Welcome back Kobe. 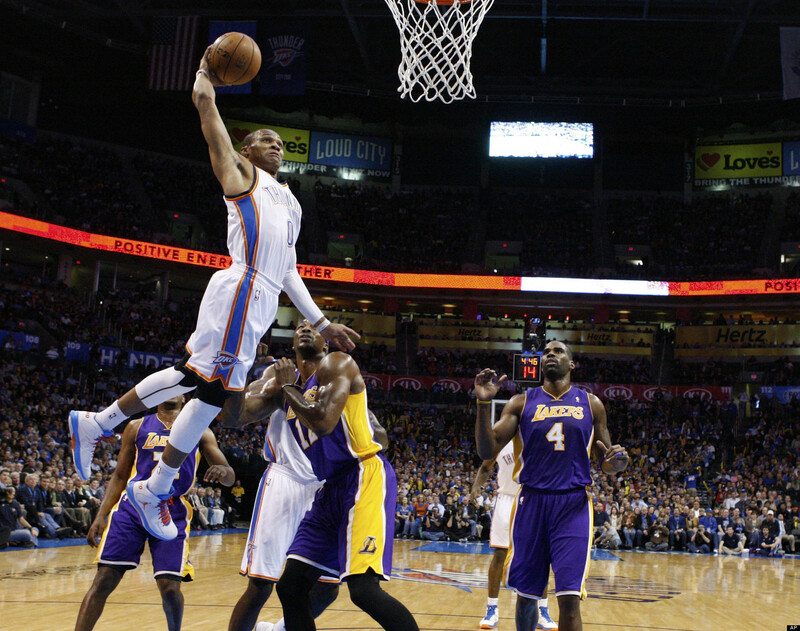 Much like Westbrook, Kobe has probably come back a little bit sooner than he was supposed to. As a fan, you have to appreciate the fact that the athletes we look up to and admire would love the game so much that they would come back earlier than necessary and put their bodies at risk once again. Even as an opponent, I can always respect Kobe’s love for the game. Also, take it easy on the rookie (Roberson) tonight.